Start Location: Edith A. O’Leary Senior Center, 50 Bow St., N. Reading MA map to start. The building is at the intersection of Haverhill and Bow St. There are also some parking spaces at a small lot across Haverhill St. which belongs to N.Reading High School which could be used for overflow. 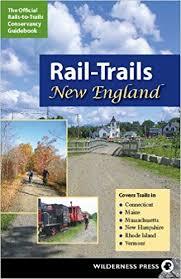 This location is about 200 yards south of the Union Congregational Church on Hill St.
Ride Description: 15 mile loop. The Tuesday Night ride accommodates both experienced paceline riders at 18-21 MPH as well as novice to intermediate riders at 14-17 MPH. 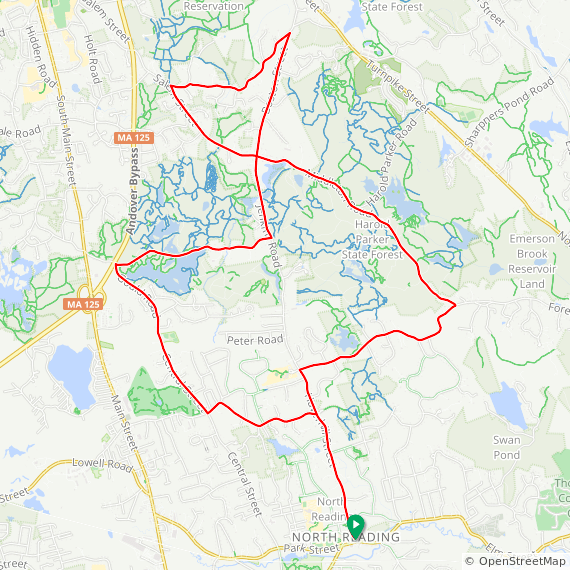 It is a moderately hilly ride that provides a good conditioning workout in an hour or less through the Harold Parker State Forest yet is minutes from Rt 128 and I-93. A North Shore Cyclists ride. When: The ride leaves promptly at 6:00 pm on Tuesday evenings as announced on listserver. Pace: The group has been averaging between 20 and 22 mph and will go slightly higher as the season progresses. The Route: The route is not marked, so please come prepared with a GPS device, map and/or knowledge of the area.